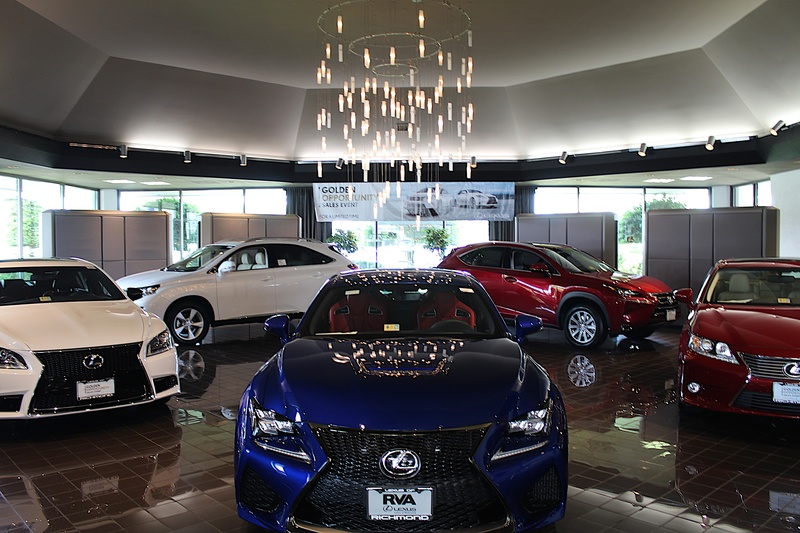 Founded in 1989 as a new entry into the luxury automotive marketplace, Lexus of Richmond began modestly. With 9 employees, a small showroom on 2 1/2 acres, and no customers, our competitive situation seemed quite daunting. Today, we have 155 employees, more than 75,000 square feet of facilities on 15 acres, and more importantly over 17,000 happy customers! How did all of this come to pass? First of all by having a truly breakthrough automotive product to sell. The Lexus brand has dominated the luxury segment through meticulous attention to detail, leading to the highest levels of quality and value. Just as significant a factor in the growth of Lexus of Richmond is the professionalism and enthusiasium of our staff. At every touch-point our customers are treated as though they were guest in the home of our employee. Our service staff is trained to be at the highest level of mechanical proficiency. In fact, we were one of the first Lexus dealerships in the nation to achieve certification as a Lexus Benchmark Service organization. Community support has always been a high priority for our company. The fabric of our lives is strengthened when we take action to eradicate disease, educate our youth and uplift the needy. Lexus of Richmond has a long-standing parnership with the Bon Secours Cancer Institute and St. Francis Medical Center. Through the Pursuit of Perfection Leadership Award, we have been recognizing our talented youth with college scholarships for 16 years. The students are interviewed on WRVA and Fox 35 Richmond, and enjoy a year-end banquet at the Jefferson Hotel. Our employees are energized to reach out and help such worthy causes as March of Dimes, Toys for Tots, the Diabetes Foundation, Public Broadcasting and the Red Cross, to name a few. We also have a partnership with Independence Golf Club and have a scholarship with their Robins Junior Golf Program for children who wish to develop their golfing skills. We are also proud supporters of VCU Basketball. Put it all together and you have an organization like Lexus of Richmond. A place where workers excell and perform at the highest level. A place where customers can feel how much they are respected and appreciated. A place that has garnered distinction as an Elite of Lexus Dealership for 19 consecutive years. We would be most pleased to have you join us in the Pursuit of Perfection!